Uses of Scottish Graveyards through time and current threats. Down through the ages, Scottish graveyards or kirkyards have had a variety of uses other than laying our dear departed to rest. This includes the following: being used as market places, being used as prisons, wappenschaws, weapons practice, feeding grounds for animals and inspiration for writers such as Charles Dickens and J K Rowling. However, our graveyards are also under threat from vandalism, neglect, well meaning but misguided methods of cleaning gravestones and greed. My mother was a keen genealogist and as a child, I spent many hours in graveyards as we tried to piece together more links in our family tree. I always found graveyards to be peaceful places, where I felt connected to my forebears. Sometimes I could feel their presence but not in the sense of demented souls that return to haunt the place where they have lived or died. Why would a spirit return to haunt a graveyard? After all, graveyards are where we lay to rest their last mortal remains after their spirit has departed. 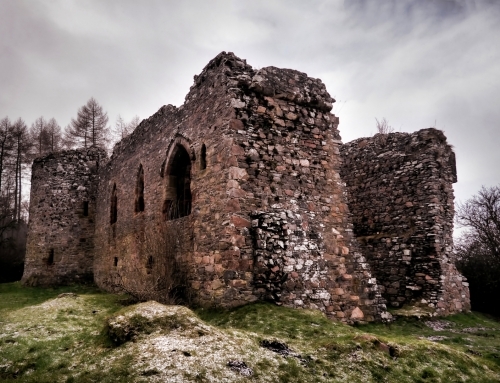 Of course, Scotland has more than its fair share of dark history and some atrocities have happened within the hallowed grounds of our churchyards. Greyfriars in Edinburgh is a classic example and it is reputed to be one of the most haunted places in the world today. The Scots are a canny people and that practicality has spilled over into the way we used our kirkyards in the past and even into the present. Kirkyards were not always the quiet and hallowed places we have come to know but were once bustling centres of the community. The practice of using churchyards as market places dates to medieval times. This seems alien to us in modern times with our supermarkets and increased understanding of hygiene. However, during the Middle Ages when a town was made a burgh, they were given a charter which allowed them to hold a market or mercet. These markets took place around the mercet cross. Often these crosses were the sanctuary crosses that marked the boundaries of church grounds. Thus, markets began to be held in the kirkyard. Many examples can be seen through out Scotland. In Medieval times, St Giles Church, dominated Elgin High Street. The mercet cross was located behind the church as was the graveyard. During the 1820s a new church was built on the site, a new mercet cross, known as the Muckle Cross was erected and the graveyard was relocated. Those interred were moved to a mass grave in Elgin Cathedral along with the more interesting headstones while the remaining stones were used to pave the closes or alleyways left over from medieval times. A similar situation existed in Edinburgh, where the mercet cross is located behind St Giles Cathedral. It should be noted that St Giles was never a Cathedral in the true sense of the word, as it came under the diocese of St Andrews. Once, there was a graveyard next to Saint Giles and there is a marker in space 23 of the carpark belonging to the High Court of Scotland which marks the spot where John Knox, the leader of the Scottish reformation, was buried. Those interred at Saint Giles had their remains moved to Greyfriar’s Kirkyard, around the corner. Further down the Royal Mile, you find the mercet cross for the Canongate. The Canongate was a burgh which grew up on the outskirts outside Edinburgh’s medieval walls and was named after the Canons from Holyrood Abbey. The mercet cross is located next to the Canongate Kirk and, once more, it lies close to the graveyard. It is worth remembering that until the sixteenth century, most graveyards were bereft of any headstones. Only the rich could afford to pay for the privilege of having a monument erected in their memory. Prior to the Reformation, people of high rank were buried within the church building itself, in stone sarcophagi. Thus, the graveyard itself was an open space. 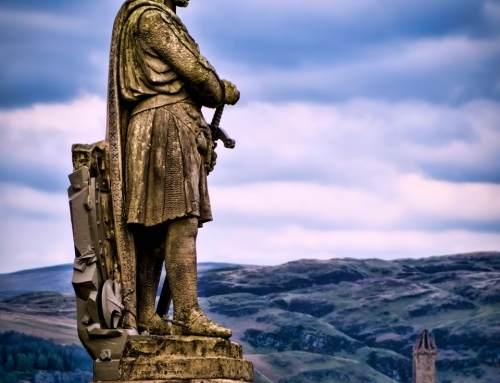 In 1457, an Act of the Scottish Parliament decreed that every parish in Scotland was to have a wappenschaw or a display of weapons for inspection, four times annually. It also made provision for arrow practise within the kirkyard every Sunday. These were perilous times and the lower classes had to be prepared to go to war against the ‘Auld Enemy’ when called upon. Kirkyards were not only open spaces but public open spaces and as such, served many different purposes from the bleaching of linen to the drying of hides. They could even be used as meeting places. The Howff is an iconic landmark in Dundee’s City Centre. Howff, incidentally, is a Scots word for a meeting place. The land on which the Howff lies was once part of the sprawling Greyfriars Monastery which was laid to ruin when the town of Dundee was stormed by the English under the rule of Henry VIII in 1547. In 1564, Mary Queen of Scots granted the gardens of the Greyfriars’ Monastery to the burgh of Dundee for use as a burial ground as the existing graveyards were overcrowded and unsanitary. Subsequently it was used as a meeting place for the Dundee Incorporated Trades and the land became known as the Howff. In medieval Scotland, a tolbooth or town house was one of three essential features in a Scottish burgh, along with the mercat cross and the kirk or church. Tolbooths generally were composed of a council meeting chamber, a court house and a jail. As the main municipal building in a burgh, the Tolbooth with its jail, was usually located close to or in the Kirkyard. For instance, in Elgin the tolbooth, lay to the west of the Kirk while the mercet cross was located to the east. A similar set up was found in Edinburgh with the tolbooth to the west and the mercet to the east of both St Giles Cathedral and the Canongate Kirk. With Hell’s Hole atween the twa. Similarly, a tolbooth tower was added to Pittenweem Old Parish Church and it is said that seven witches were thrown into its tiny dungeon during the Scottish Witch Trials. It is not uncommon for jougs or iron neck rings to be attached to the walls of Scottish churches, a grim reminder of the severity of punishments meted out by the Kirk Sessions or church courts. However, not all prisons were tolbooths. 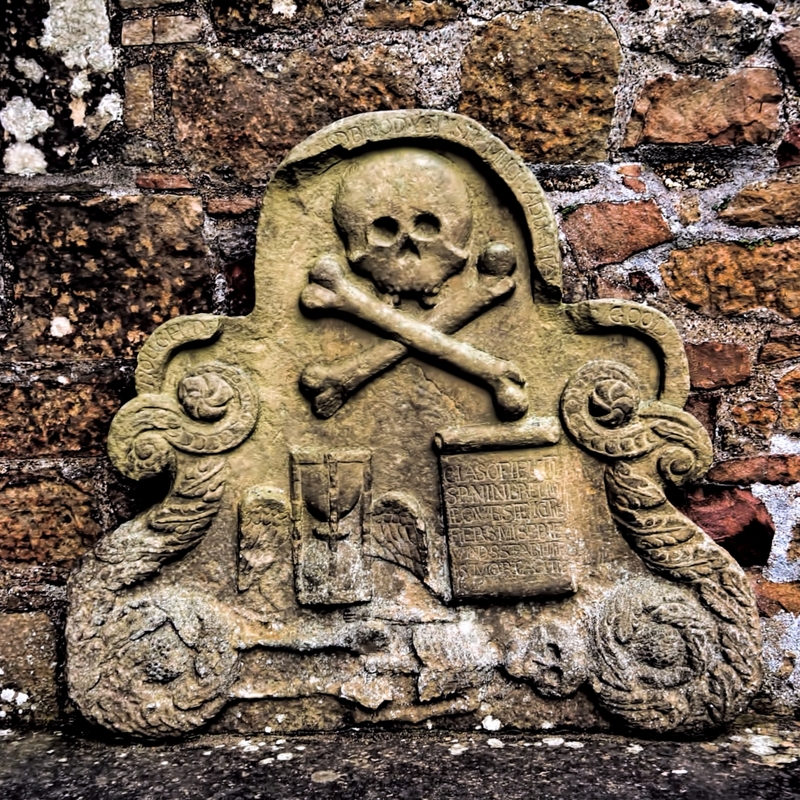 Perhaps one of Scotland’s darkest moments in history occurred within the Kirkyard of Greyfriars in Edinburgh. As the reformation took hold across the British Isles, England became Episcopalian with the monarch at the head of its church. The Scots are a stubborn people, keen to cling to their national identity, and they chose to follow the Presbyterian faith, never mind that the monarch was a Stuart King, whose ancestry was more Scottish than English. When King Charles I, tried to impose the Episcopalian faith on the people of Scotland, riots broke out. 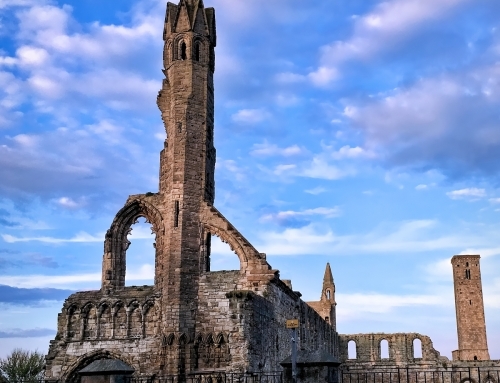 The Scottish people were charged with treason, but in seventeenth century Scotland, the Episcopal faith seemed too close to Catholicism for comfort. In 1637 ‘The National Covenant with God’ was signed in Greyfriar’s Kirkyard and was the catalyst that set off a chain reaction of events that would culminate in the English Civil war and the beheading of King Charles I. Incidentally, the Covenant was to form the basis of the Constitution for the United States of America. However, the Covenanters days were numbered and Charles II, intent on revenge, crushed their last army at the Battle of Bothwell Brigg. But fate is a strange thing. As it happens, upon his death George MacKenzie was interred where he had put to death so many of his fellow Scots. It is said that George MacKenzie haunts the graveyard to this day. 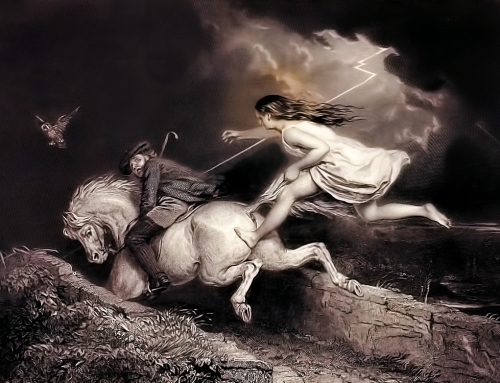 The MacKenzie Poltergeist is surely one of Edinburgh’s more infamous ghosts. The dawn of the nineteenth century brought a raft of improvements in medical science. This progress was largely due to a better understanding of anatomy. However, there was one small problem. The only corpses legally available were from those sentenced to ‘death and dissection’. This meant that the supply pool was extremely small. By the nineteenth century an average of 55 people were being sentenced to death each year but with the expansion of medical schools, some five hundred cadavers were needed annually. Thus, graveyards became the haunt of bodysnatchers, or ‘Ressurectionists’ as they euphemistically were called, who performed their nefarious deeds under cover of darkness. Wooden spades were used to scrape away the earth and had the benefit of being quieter and caused less damage than the metal variety. They would then prize open the coffin, and using hooks and ropes, slide out the corpse. Metal cages or mort-safes such as those seen in Edinburgh’s Greyfriar’s church today, were often used to protect the remains of loved ones. During 1827 and 1828, Burke and Hare, brought a new dimension to the grizzly trade of selling corpses by murdering rather than grave-robbing. Their patron was none other than Dr Robert Knox, who was the most eminent anatomist in Britain at the time. His work had put Edinburgh University at the forefront of anatomical studies in Europe. A new word was coined from the deadly duos’ crimes: burking – to smother or commit an anatomy murder. Not all uses of Scottish graveyards are dark and macabre. 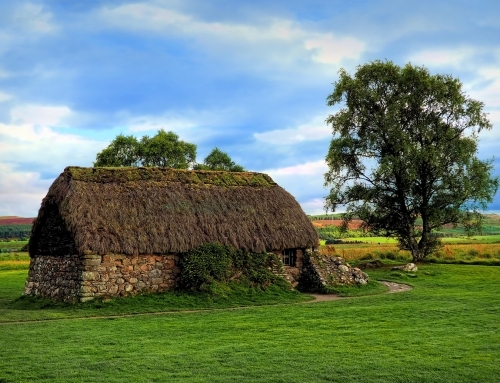 Ministers could keep bees in the old-style straw ruskies or skeps within the gardens of the manse. In some places the minister would keep them within the churchyard, itself. He also had the right to graze his horse or his cow in the churchyard. Writers have found their inspiration within the walls of Scottish Kirkyards. It is said that Charles Dickens got his inspiration for Ebenezer Scrooge from a grave stone in Edinburgh’s Canongate. The stone, now lost, said ‘Ebenezer Scroggie, Meal Man’ (meaning a grain merchant) which Dickens mistook for ‘Mean Man’. It is a well-known fact that J.K. Rowling wrote much of the early Harry Potter books in the Elephant House in Edinburgh. The Coffee House is located several metres away from Greyfriar’s Churchyard and was the source of many of the names found in her books. The headstone for the poet William McGonagall was the inspiration for Professor McGonagall, Alastor Moodie’s name was derived from the gravestone of a Mrs Elizabeth Moodie and Voldemort as Tom Riddell came to life through the gravestone of a certain Thomas Riddell Esq. Are our Graveyards under Threat? Our graveyards are sacred, are they not? Memorials to our loved ones! Yet, we read time and time again in our local newspapers, about gravestones being damaged when vandals have gone on a wrecking spree within a cemetery. However, some 23,000 headstones in Scotland are potentially dangerous. A young eight-year-old boy from Glasgow died when a 120-year-old headstone toppled over on him. One of the problems is that the local authorities are only responsible for keeping the graveyards tidy. The owner of the gravestone is the lair holder, usually the family and descendants of the deceased. In Scotland, the normal practice is for the purchaser of a lair to be granted this right in perpetuity. This has serious implications because the lair holder has the responsibility for maintaining the gravestone. This is then passed onto their descendants. As you can imagine, this means that for older gravestones, the descendants can no longer be traced by the Local Authority or the body responsible for managing the graveyard. In addition, the number of surviving historic gravestones far outstrips the resources needed to care for and conserve them. Sometimes in our desire to care for these precious monuments, we cause more damage. I had an interesting conversation with a volunteer at Greyfriar’s Kirkyard. He said that when people wash the surface of the sandstone graves, thus destroying the surface patina. Within a year the writing is weathered away, destroyed by ignorance. He spoke of the disappearance of some of the rectangular gravestones. Some of the inhabitants of Edinburgh are in for a shock if they ever lift some of their patio slabs, as a man of Eastern European origin, has found the stones to be a cheap source of material for his landscaping job! The volunteer also told of a horrific encounter he had with someone caught trying to chisel Thomas Riddell Esq.’s headstone from off the Flodden Wall. When asked what he was going to do with it, he said he would put it in his garden! In exasperation the guide explained that this was not a fiction character, but the gravestone of a real person. Perhaps the real threat is that we have become disconnected from the past. We no longer know who and where we have come from. Perhaps we have become too connected to the media and have forgotten that those who have passed before us, have helped to shape who we are today. We erect gravestones so we might remember our loved ones, but do we remember to care for that memory? I wonder!